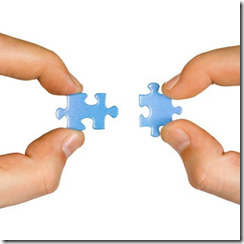 Have you ever considered efficiency in customer and client acquisition? This might look like: your company closes one out of every 10 prospects, or out of every 20 calls, the company gets a meeting. What about your actual marketing? Are you marketing to everyone, or have you narrowed or segmented your marketing activities? Many companies and non profit organizations find that they get the bulk of their revenue only 20% of their clients. This means that if you have 200 clients, most of revenue is coming from only 40 of them. If you have 5 clients, most of your revenue is coming from 1. If you have 500 donors, dollars over dimes that you are getting a bulk of your donations and contributions from 100 of your donors. In any case, determining who that ideal client is, attracting them and keeping them is what business leaders need to focus on in their business development activities. How do you identify the 20%? You should be able to identify that 20% by experience, which means that not only do you need to identify what is attractive about a customer or client to your firm, but you need to find out from them, what attracts them to your firm. Think about your marketing mix – the combination of product, pricing, placement, positioning, promotion and distribution (access to the product) and how the exchange of value (exchange of $$ for your product or time). How do you find out? Ask them – ask all of them, but really focus on that 20%. Short, sweet and simple. Incrementally. Do a survey or focus group with them. Give them value for the value you will receive from them. It might look like entering them into a raffle, using a special event to gather the intel, giving a coffee card or discount on services. Don’t treat your customers like you are doing them a favor; express how you value their contribution both in word and deed. Then what? Once you find out, evaluate your marketing mi: are there areas that need to be tweaked or adjusted to better meet the needs of the market? Is your marketing mix differentiated from your competitors to the extent that your competitors may not easily duplicate what you have done? Are you anticipating the future needs of your market? Do you understand how you need to price your offering so that you are covering all of your costs, making a profit and not alienating your customer? What about the other 80% of clients? Are they dead weight? No, of course not. However, you probably won’t make the best use of your time or success trying to be everything to everyone. If you look at mass marketing campaigns, you will begin to notice that their goal is to appeal to a subset of the marketplace. If you look in particular at the auto industry, they actually create products specifically designed for certain submarkets, then market the products in such a way that the market can visualize themselves in the vehicle. What about the idea that more is better? All growth isn’t good growth. Speaking with clients that have used daily deal promotions, they found that while they received lots of inquiries and additional sales, more often then not, they only got customers that were specifically looking for a deal, and thus, one-time purchasers who would typically not purchase items unless they were offered at an extreme discount. This isn’t a sustainable customer segment for the typical small business and can sometimes actually cause the business to struggle as a result of thin margins, difficulty getting the product to consumers, handling customer service and product shortages. Strive for customers that you can keep. How do I keep them? If you think about why people buy – again, the marketing mix – the combination can be fairly complex. Which means that you as the business leader have an opportunity to make that mix appealing to your ideal client and justifies focusing on a subset of the population. Why bother? Because if your product looks like everything else in the marketplace, your customers may just be focused on price. You want to give them more reasons – level of service, availability of add on products, expertise, a pricing strategy that makes sense for your company and them, consistency, etc. What’s the point? These activities will make your marketing activities more efficient. If you had only a dollar to spend on marketing, would it be better to spread it across 20 markets, or focus most of it on one market that has the greatest likelihood of closing? Of course, more efficient marketing means that you will focus most of your dollar on a subset of the entire market. Please keep in mind that in order to build an extraordinary business, this isn’t a one-time activity. Listening to the voice of the customer needs to be an ongoing process. While you will not be able to meet the specific needs of every single one, by ensuring that you meet the needs of your target customers, you will more than likely meet the needs of a wider group of customers.